At Gen Con, Existence Games was showcasing its Exodus Trading Card Game, which has grown from a start-up dream to a buzzworthy nationally distributed game. Exodus is a quick, easy fantasy trading card game that doesn’t require excessive time to learn the rules and play. Once players have been introduced, the average game takes 5 – 10 minutes. Players start with decks featuring creatures like Angels and Dragons and compete in duels to determine winner. 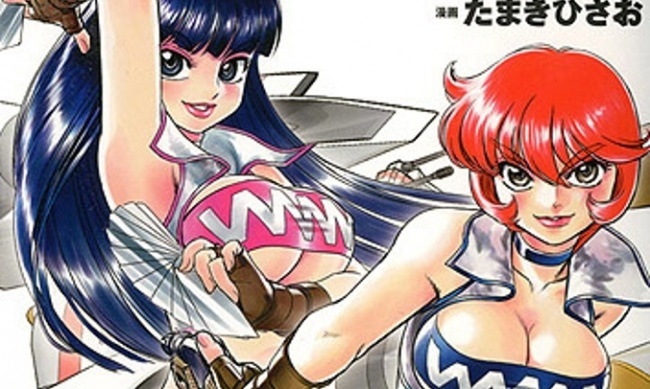 The art is very family-friendly, with no depictions of demons or objectionable motifs. Each player starts with 10 life points, with the goal of reducing their opponent’s life points to zero. 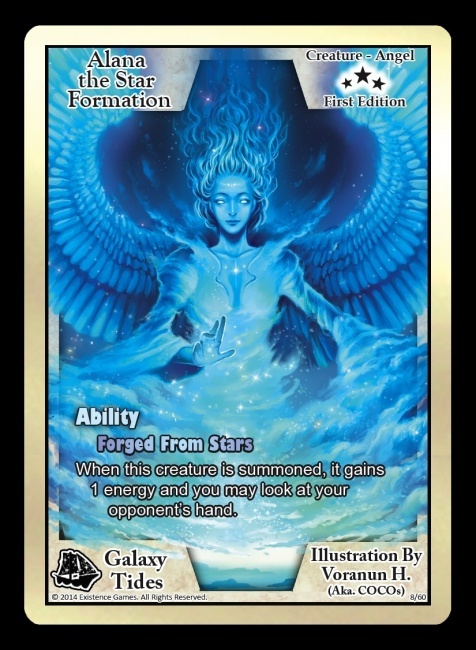 Players take turns summoning creatures from their decks, using energy cards to empower them, and then try to battle their way past their opponent’s defenses. There are only three types of cards: Creatures, Symmetry (effects), and Energy. The only rules for deck building are that players must have a minimum 20 Energy card deck, the main deck must be at least 20 cards, and only 2 copies of any card are allowed in the main deck. Card rarity actually affects game play, since some cards are only affected by certain rarities. 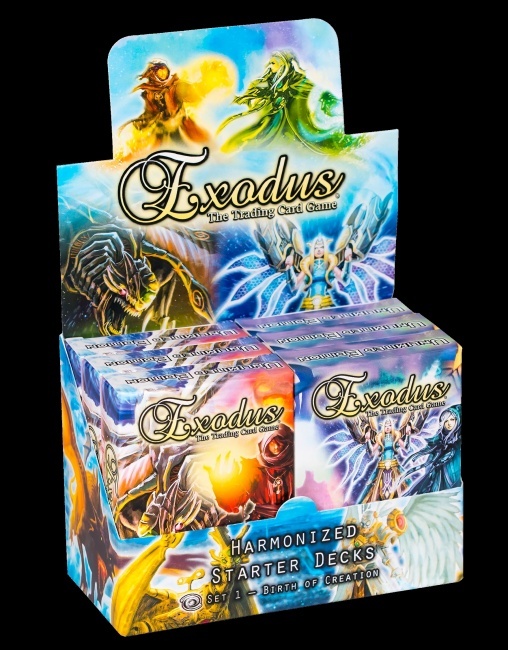 Exodus is designed by Jake and Lexi Medina, a brother/sister team who grew up playing CCGs casually and competitively. 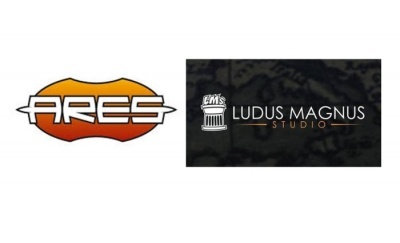 They designed Exodus in 2011, and founded Existence Game in 2012 to publish it. They sold the game at conventions and direct to stores, along the West Coast until they sold out. 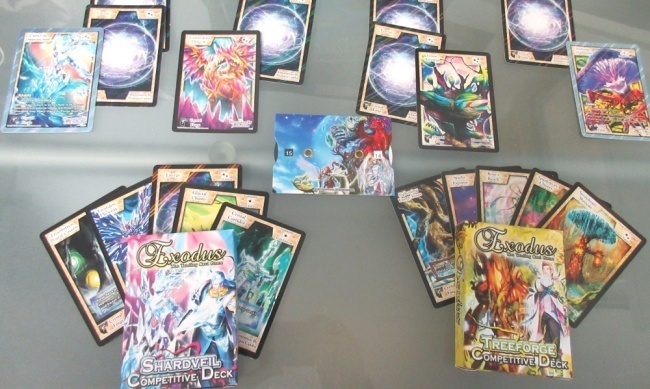 In 2014 /2015 Existence acquired national distribution, and launched its Premiere Edition Decks and first Booster Expansion – Galaxy Tides. This summer they launched the Crystal Forge Expansion, which supports the recently released Treeforge and Shardveil Competitive Decks (which are designed for more advanced /competitive players. Exodus is currently available in U.S. and Canadian distribution, as well as directly from Existence Games. 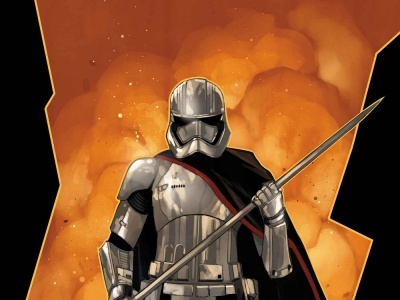 Jake Medina told ICv2 that they soon hope to have distribution in the U.K. Existence will soon launch organized play for the game, with information on their website for tournament news, an event locator and more. 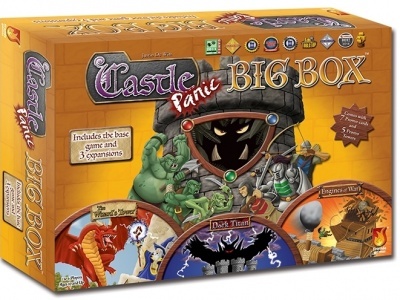 See multiple card images and display boxes in the gallery below.